"Now I came here not to talk at you -- it's gonna be a long and powerful day," Watkins said. "But I want you to do something with me. 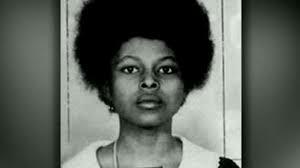 I'm gonna actually have you participate with me in repeating some words from a leader by the name of Assata Shakur. So if you could stand up -- if you can't stand, it's okay -- but I want you to repeat after me." Although there was no indication the candidates embraced Shakur's comments, Democrats and progressives have long embraced the convicted murderer. California Democrat Rep. Maxine Waters, for example, wrote in 1998 to then-Cuban President Fidel Castro to apologize for voting for a resolution that called for Cuba to stop harboring Shakur. "I, and some of the Members of the Congressional Black Caucus, mistakenly voted for House Concurrent Resolution 254 which called on the Government of Cuba to extradite to the United States Joanne Chesimard and all other individuals who have fled the United States from political persecution and received political asylum in Cuba," Waters wrote to Castro. "Joanne Chesimard was the birth name of a political activist known to most Members of the Congressional Black Caucus as Assata Shakur. For the record, I am opposed to the resolution. I unequivocally stated that a mistake was made and I would have voted against the legislation." Notably absent from the conference on Monday was former Vice President Joe Biden, who is grappling with accusations of unwanted touching from two women.